Caterham Seven information: everything you need to know if you own it, are thinking of buying one or just want to find out more about the 2015 Seven. Click on the links below for all of CAR magazine's news, reviews, videos, scoops and spy photos of the Caterham 7 car range. We list the top 10 stories for each model – and where appropriate you can click on 'More' to browse even more of our archive content. 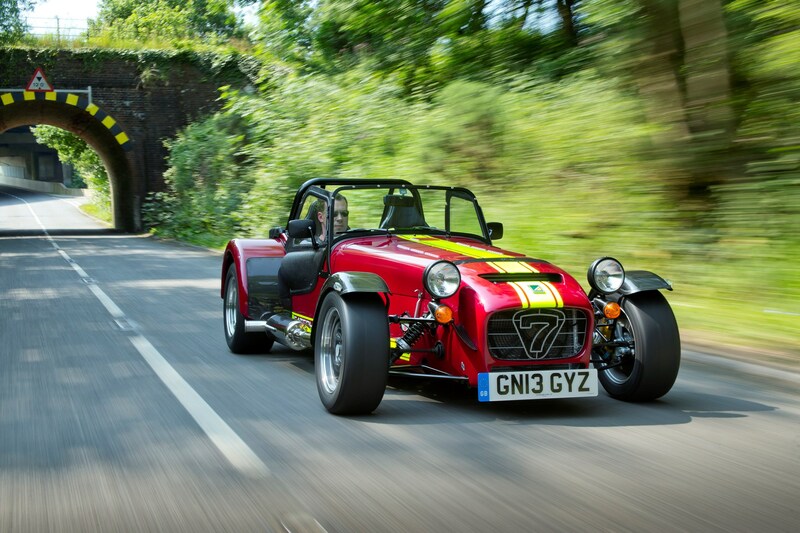 The Caterham Seven takes over where the Lotus Seven left off. Barely changed in decades, the fundamental sports car recipe is devastatingly simple: provide lots of grunt in a flyweight bodyshell. Not for wimps! There's also a mindset of endless improvement, with a conveyor belt of upgrades and different models now available. For more information on the Caterham Seven range, click on our further stories on the links below. Not for the faint-hearted - luxury is for wimps! Caterham’s rejigged the entire Seven range. We try them all. Is the 660cc Caterham Seven 160 downsizing at its best?